Review: Asia de Cuba | The Gentleman's Journal | The latest in style and grooming, food and drink, business, lifestyle, culture, sports, restaurants, nightlife, travel and power. St Martin’s Lane has many great pubs, theatres and an abundance of dining and entertainment history, and even though you might think you’ve seen all it has to offer drinkers, diners and theatregoers, there are still a few places that you might never have tried. 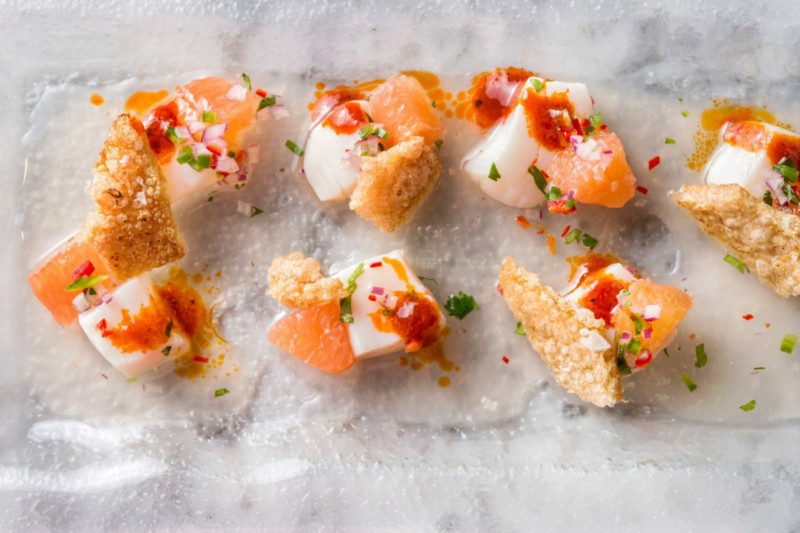 One such hidden gem is Asia de Cuba, a restaurant of much renown and one of those places that has the ‘Oh yeah, I’ve heard of that one – where is it again?’ factor. 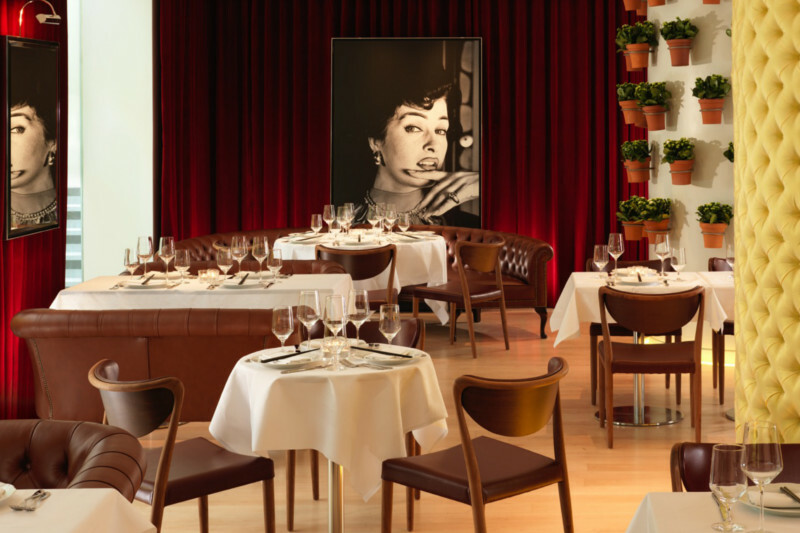 The restaurant is tucked away behind the mysterious drapes and unmarked frontage of the St Martins Lane hotel. On the other side of the hotel’s expansive and modernist lobby you enter the restaurant to be greeted with the recently refurbished décor and bustling ambience of a popular, well-run eatery. 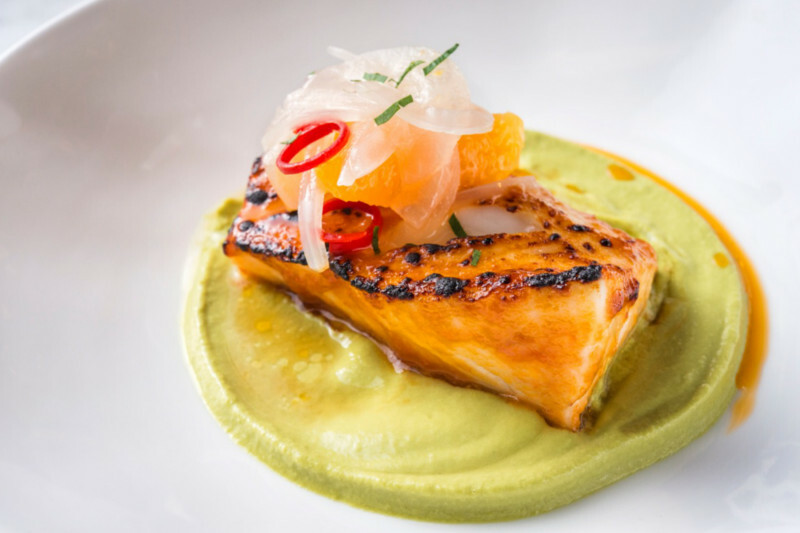 As far as fusion-cooking goes, you don’t get much more fusional than Asian meets Cuban. 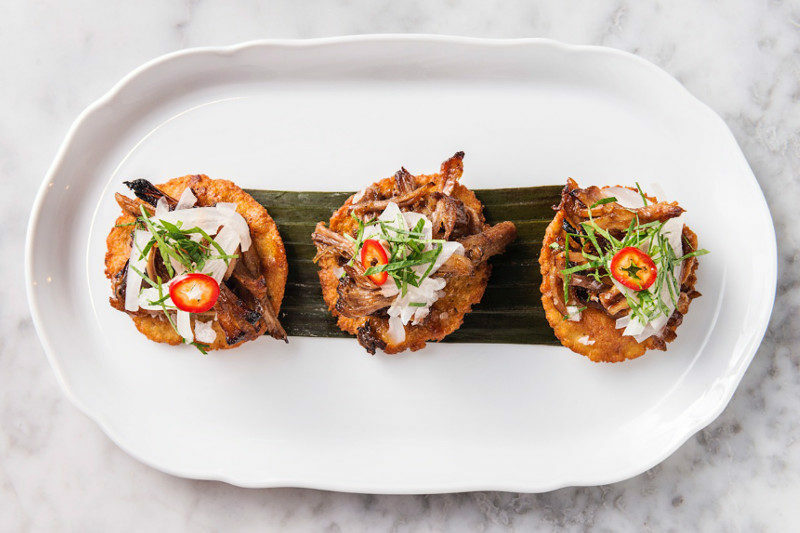 Inspired by the traditional foods of China and Asia, which are mingled with the hearty, no-nonsense foods of Cuba, the menu features some great mash-ups of flavour and style. The Caribbean influence, seafood and tropical flavours mingle happily with the welcoming and gorgeously presented favourites of Asian dishes; the seasonings and textures of both cuisines create a worthy menu of delights that need to be explored and savoured. Excellent service is on hand from a cohort of delightful staff. A professional welcome from the front of house team and a wait staff who radiate happiness and warmth puts diners at remarkable ease. The décor is eclectic, as is the clientele. Tables are spaced far enough apart to allow privacy and intimacy, but the place has the open bustle of a Cuban bar. The mix-and-match chairs coupled with the bookshelves and posters may all seem a bit contrived, but the vibe itself is very relaxed and it’s easy to feel like you’ve been there many times before. The mix of well-to-do diners, hotel guests and tourists creates an international mix – it’s a little island in the stream of London’s West End. Starting with the ceviches, having opted for the multi-plate sharing route, the calamari with tomato confit and ginger chimichurri and the shrimp with shiso, aji Amarillo and wasabi were good choices; many plates soon covered our table and encouraged further fusion as we mingled flavours and dishes together in a mash-up of morsels. From the Wok section of the menu we chose ‘Chino Latino’ – a delightful combination of mojo roasted lechon (roasted suckling pig), jasmine rice, bean sprouts with egg and edamame. This really enlivened the tastebuds and felt every bit as hearty as it was delicious. The ginger and papaya marinated palomilla from the plancha part of the menu was a sumptuous experience to both behold and eat – an 8-ounce flat iron steak, served with firm tatsoi and pickled vegetables, cooked to a juicy perfection and complimented by a piquant thai chilli mojo. It was a succulent sharing dish that was well accompanied by our choices of yuca fries and grilled market vegetables. The desserts are worth trying too, but the main courses and the savoury flavours more than overshadow the sweets on the menu – you may prefer to go all out on the hot and spicy fusion dishes rather than save room for the desserts. Try the Blind Spot, the hotel’s comfortable and dark leather-seat-packed bar, for some very elaborate and hypnotically marvellous cocktails. 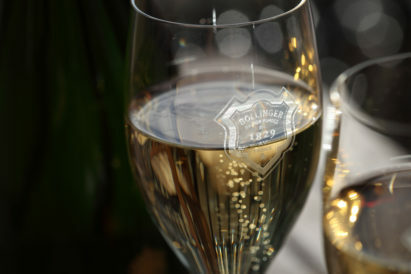 In Asia de Cuba, there are some fine champagnes to kick off with, and some fruity and fresh Spanish whites. We opted for a lesser known Argentine Malbec that really hit the spot for the food, with its chocolate/coffee nose and yet crisp, dry blackcurranty finish – make sure you talk with the Sommelier, the food is so elaborate, you don’t want to get lost in the wine list. 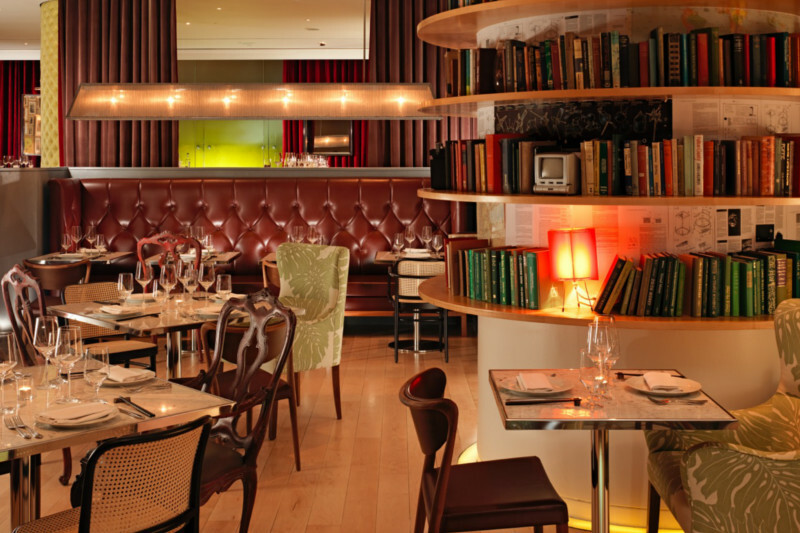 The pre-theatre menu is very good value, offering two and three courses selected from the main menu. The small plates and salads are not small in price, but the quality counters this. 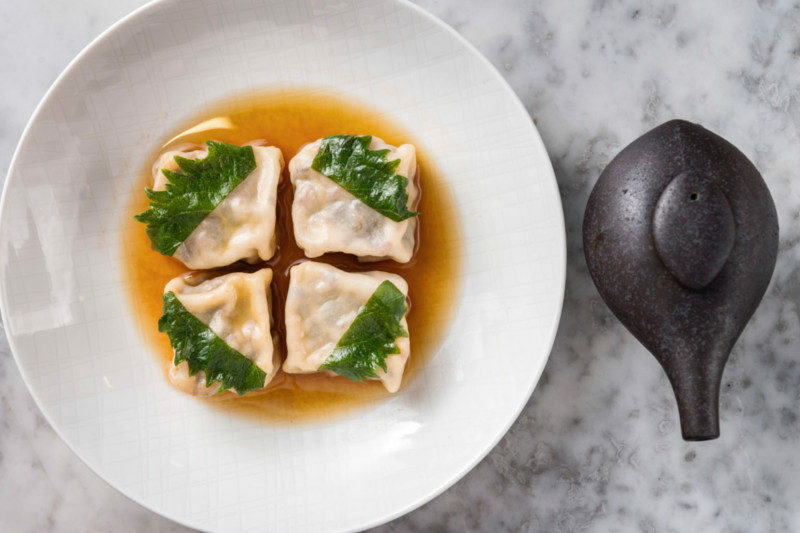 There are some eyebrow-raising prices on a few of the wok and plancha dishes, and the grill dishes too, but as this is finer dining with an international feel you would expect that. Dishes are for sharing too, for the most part, and so the cost can be as shared as the food. A warm welcome in a nice, airy and open space leads to a whirlwind of flavours, presentations and sharing dishes that inspire conversation and dining delight. 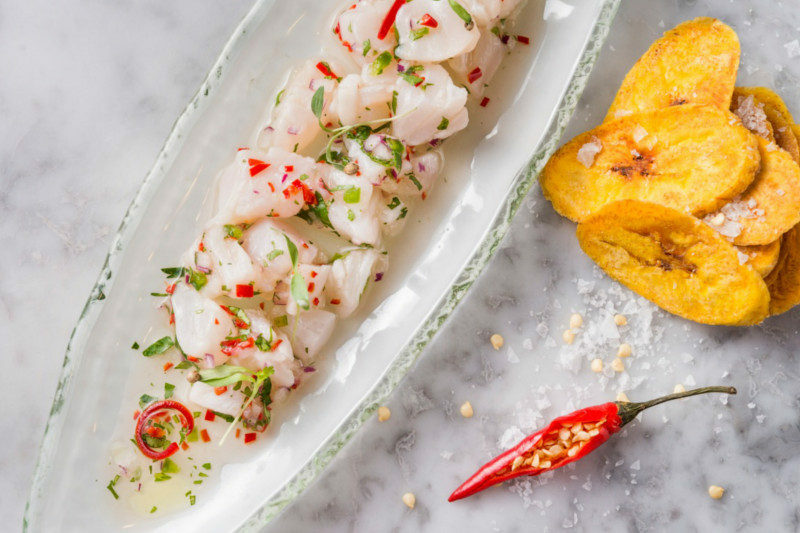 Seek out Asia de Cuba for the menu and the vibe; it’s unlikely you’ll find such exciting and flavoursome dishes anywhere else in London. A treat for yourself and your partner, to share and explore a new cuisine you may not have considered, and to enjoy a fun and flavour-filled evening.